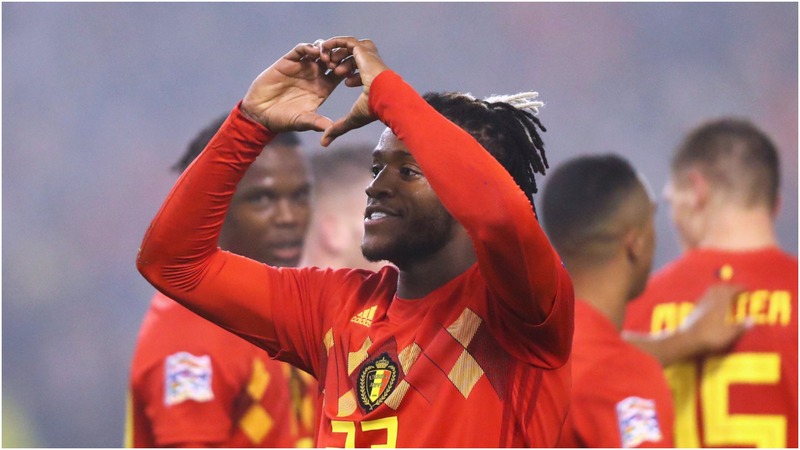 Monaco vice-president Vadim Vasilyev has confirmed the club are in talks over a deal for Michy Batshuayi. The striker's future is in doubt as Valencia have signalled their intention to cut short his loan move from Chelsea. Batshuayi thrived on loan at Borussia Dortmund during the second half of last season, scoring seven goals in 10 Bundesliga appearances, but has struggled in LaLiga this term. A single goal in 15 league appearances for Valencia has led to the club trying to find a solution for the striker, with Monaco a potential destination. "We have an agreement with the player and with Valencia, but not with Chelsea," Vasilyev told a news conference on Wednesday. "They want a transfer. Everything could go very quickly in football so we'll see." Batshuayi scored the goal that clinched the 2016-17 Premier League title for the Blues, but his Chelsea career appears to be over with Maurizio Sarri apparently unconvinced by his abilities. Everton have also been linked with a move for the Belgium international, but Chelsea are reportedly demanding a £40million for a permanent transfer. In turn Chelsea are being linked with a move for Gonzalo Higuain, who was on the bench as AC Milan faced his parent club Juventus in the Supercoppa Italiana on Wednesday.